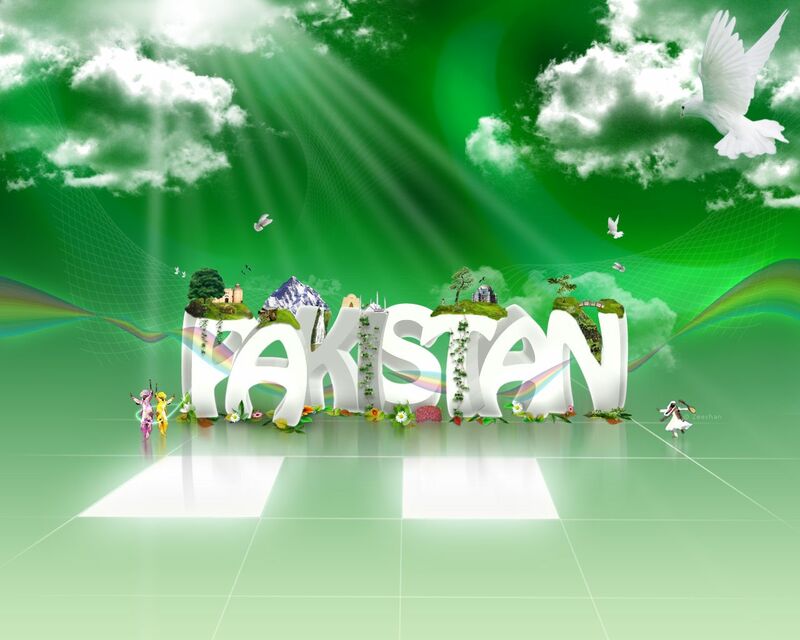 Although the Pakistan day is being celebrated every year on March 23, yet this time, this very day has come at a time when Pakistan stands at the crossroads of its destiny, facing internal and external challenges and threats to the national security of the country, which demands selfless national unity among all the segments of society. The 23rd of March 1940 was a watershed in the history of the Sub Continent when All India Muslim League passed the Resolution in Lahore for the creation of an independent state. Now, it is popularly called as Pakistan Resolution. Earlier, in his address to the Muslim League at Allahabad in 1930, the idea of a homeland for Muslims in their majority areas had been envisioned by the poet Allama Sir Muhammad Iqbal and had become the aspiration of Indian Muslims. In fact, the British colonialists in connivance with majority Hindu population had manipulated and targeted Muslims through every possible way. In that background, Muslims started the struggle for a separate state. Prior to the Lahore session of Muslim League, Quaid-i-Azam Muhammad Ali Jinnah had specified to this historical congregation of the Muslims, the watch-words of ‘Faith, Unity and Discipline’ which were not only necessary for waging the battle for an independent homeland, but also for present Pakistan. So, while struggling against the enemies, the essence of these watch-words is the unity which is the real spirit of the Pakistan Resolution. However, it was due to the selfless practical unity among the Muslims under the leadership of Quaid-i-Azam that Pakistan became a tangible reality. But that unity started declining after passing through various crises, and the result was the separation of East Pakistan in 1971, as the India manipulated differences between East Pakistan and the West Pakistan. However, the 23rd March which is celebrating by every Pakistani as the Pakistan Day, has come at a time when Pakistan is facing multiple threats of grave nature, which are not only worrying all the citizens but are also creating division between the rulers and the opposition parties including rival politicians, taking the country towards anarchy. The Pakistan Day has come at a time when Pakistan’s security forces have been facing a different war, while the enemy is also different, which employs subversive activities of various kinds which also include internal and external challenges. In these terms, Pakistan is in the state of new war, being waged by the Armed Forces and intelligence agencies against terrorists. In this respect, our Armed Forces have almost obtained their objectives in North Waziristan Agency (NWA) through military operation Zarb-e-Azb against the terrorists who had challenged the writ of the state and had frightened the entire nation by their terror acts. In Balochistan, Khyber Pakhtunkhwa, Karachi and other parts of the country including tribal areas our security forces and law-enforcing agencies have broken the terror networks and restored peace by eliminating and capturing terrorists. Unlike the past, peace has, especially, been restored in Balochistan and Karachi. Besides, Pakistan launched a nationwide military operation codenamed Radd-ul-Fasaad earlier this year, which includes broad-spectrum security and counter-terrorism operations in Punjab and other cities of the country, while continuing the ongoing operations. The move came after a series of deadly bombings across the country all through February, which killed hundreds of civilians. According to various news releases of the Inter-Services Public Relations (ISPR), Pakistan’s security and law enforcement agencies have killed and arrested more than 600 suspects, terrorists and their facilitators, including capture of huge cache of arms and ammunition in a crackdown across the country, especially Punjab as part of the ongoing Operation Radd-ul-Fasaad. The ISPR disclosed that some suspected terrorists were killed during an exchange of fire with security personnel. It said some Afghan nationals and RAW agents were among the arrested suspects. Nevertheless, during this very day, it is also of particular attention that since the government of the Balochistan province announced general pardon and protection to the Baloch militants as part of the reconciliation process, many insurgents and their leaders have surrendered their arms and decided to work for the development of Pakistan and the province. However, civil, federal and provincial governments are making strenuous efforts to restore complete peace and order in the province. For this purpose, a paramilitary committee has also been formed by the ruling party to hold negotiations with the disgruntled elements. And the former Chief of Army Staff Gen. Raheel Sharif also supports political settlement—general pardon to the insurgents in Balochistan, so that, development works including the China-Pakistan Economic Corridor (CPEC) which would bring unlimited benefits to the province and its people must be completed. Pakistan’s Army Chief Gen. Qamar Javed Bajwa continues the same policy. Unfortunately, it is because of lack of solidarity among our politicians, leaders, and media that foreign opportunists have been manipulating the chaotic situation of Pakistan in order to fulfill their secret agenda by destabilizing the country which is the only nuclear country in the Islamic World. In the past few years, nefarious designs of some foreign secret agencies like Indian RAW and Israeli Mossad which have tactical support of American CIA can be gauged from a number of anti-Pakistan developments such as their support to insurgency in the Khyber Pakhtunkhwa, separatism in Balochistan and targeted killings especially in Karachi coupled with subversive acts all over the country. Pakistan which has become a special arena of this different war and has faced terror activities such as suicide attacks, bomb blasts, targeted killings, ruthless beheadings of the innocent people, assaults on security personnel and prominent religious figures. Besides blowing children schools and attacking the female teachers in order to deny education to girls, the terrorists, particularly of the Afghan-based Indian-backed Tehreek-e-Taliban Pakistan (TTP) also targeted mosques, Imambargahs, mausoleums, temples, Churches and disgraced dead bodies. 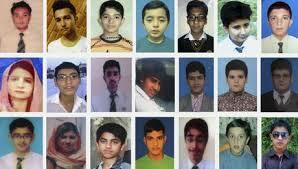 Their pitiless acts resulted into killings of several persons in Pakistan. Although terror attacks have been reduced, yet RAW, CIA, and Mossad which are based in Afghanistan and are in connivance with the terror outfits like TTP, Daesh and other similar militant groups—their affiliated outfits have again started these acts of sabotage in Pakistan. And it is also due to lack of national unity that Pakistan is also facing multi-faceted crises such as load shedding of gas and electricity, soaring prices, unemployment, crimes, lack of health facilities, and dependence upon the US-led developed countries, IMF and World Bank for financial aid. Externally, Pak Army and Rangers are, boldly, responding to India’s unprovoked firing at the Line of Control in Kashmir including Working Boundary in Sialkot and other sectors. While the fundamentalist party BJP led by the Indian Prime Minister Narendra Modi is implementing anti-Muslim and anti-Pakistan agenda. In this context, BJP leader Dr. Subramaniam Swamy, a staunch promoter of Hindutva (Hindu nationalism) stated on July 12, 2014, that India needed only two years to defeat Pakistan militarily, and the only solution of Kashmir was war, as “there is no peaceful, democratic solution. As regards the unity, no doubt, it was displayed among all segments of society, after the TTP massacred 132 school children at Army Public School and College in Peshawar on December 16, 2014—as the situation warranted bold and firm decisions to deal the menace of terrorism, especially the threat of the TTP and its banned affiliated groups which are still conducting subversive activities in Pakistan. In this regard, the government, encouraged by the resolve of public opinion responded prudently and lifted the moratorium on death penalty awarded to the criminals according to law. Taking note of the delicate moment, on January 2, 2015, political and military leaders agreed on a draft of legislative measures which paved the way for the establishment of special military trial courts. It was unanimously agreed that the 20 points (National Action Plan) enunciated in the All Parties Conference (APC) Resolution of December 24, 2014, shall be acted upon expeditiously—the bill as 22nd (Constitutional) Amendment has been enforced soon after its approval from the parliament. Now, special military courts have been established and the ruthless terrorists facing death penalty are rapidly being hanged. In this context, National Action plan must also be fully implemented to defeat the terrorists. In fact, it is a war of every patriot Pakistani against terrorists, as the enemy is different, and it cannot leave the security forces alone to wage this different conflict of history. In this context, Pakistan Day demands the cooperation of every citizen, politician, and religious leader with the security forces and agencies to defeat these merciless terrorists. While emphasizing national unity against terrorists, the former Army Chief and the present one Gen. Bajwa has stated the We will continue to go after the inhuman beasts, their facilitators till their final elimination. Taking cognizance of the present critical situation, Pakistan Day demands selfless national unity which must be shown practically. This significant day demands that our political leaders must pledge that they will not manipulate their regional and provincial differences at the cost of the national interests so as to grab political power. In this connection, a blind dedication to one’s own race, tribe and creed should not be allowed to create hatred in one group against the other. They must avoid exploiting the ongoing thorny issues in order to increase their vote bank at the cost of the integration of the country. If any controversy arises, it can better be settled in consonance with the constitution. 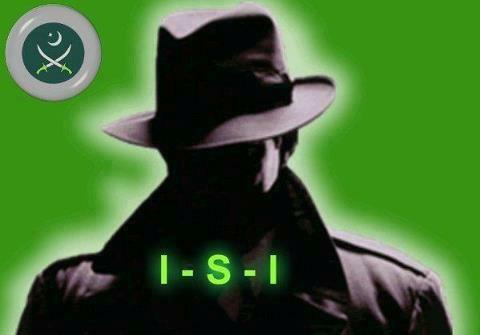 For this aim, in order to castigate the conspiracy of the external enemies against the integrity of the country, some of our political leaders, media houses and human rights groups must also stop manipulating any crisis against Pak Army and country’s primary secret agency, ISI whose image are deliberately being tarnished by the external plotters. True and selfless unity against the foreign enemies requires that our rulers and leaders of other political parties and must create national cohesion among various segments of society. Particularly, our electronic media should give a matching response to the malicious propaganda of the US-led some western countries including India and Israel which are distorting the image of Pakistan, its army, and ISI. Especially, on this very day, media must also project a soft image of Pakistan by highlighting national heroes and tourism sights of the county. On the occasion of Pakistan Day, we must follow the essence of the Pakistan Resolution in real terms by displaying selfless unity in practical terms, which is not possible unless the government, the opposition leaders, civil societies and media owners including all other segments of society pledge to sign a charter of integration which is very necessary to pull the country out of the ongoing serious crises and threats. No Professional Intelligence Agency of any Nation Would Launch Such a Bestial Attack. Pakistani Intelligence, ISI knows who were the masterminds behind APS Attack on Kindergartners and Middle Schoolers. Pakistani ISI does not forgive or forget, they get even. Stay tuned. In one of the bloodiest ever terror attacks in Pakistan, six Taliban militants mercilessly killed at least 141 people, including 132 children and nine staff members of the Army Public School and College in Peshawar, on December 16, 2014. They also burnt a lady teacher alive. After eight hours operation, Pak Army’s commandos cleared the school area, and six militants were killed. On the same day, Tehreek-e-Taliban Pakistan (TTP) claimed responsibility for the ghastly act at the Peshawar school. The tragic loss of the lives of innocent children moved the entire world deeply. Every Pakistani said that shame on these terrorists who considered innocent children as their enemies and martyred them through brutal tactics. Pakistan’s Prime Minister Nawaz Sharif and the then Chief of Army Staff, Gen. Raheel Sharif including leaders of various political and religious parties strongly condemned the heinous attack at the Peshawar school. PTI Chief Imran Khan called off the December 18 (2014) countrywide shutdown, and also decided to cooperate with the government against terrorism. However, after that inhuman gruesome tragedy, the question arose as to what measures required to eliminate terrorism from the country. In this context, the former Army Chief Gen. Raheel accompanied by DG ISI rushed to Kabul on December 17, 2014. Resources suggested that during his meeting with his Afghan counterpart, Afghan President Ashraf Ghani and the ISAF commander, he presented evidence of the Peshawar massacre’s linkage with TTP sanctuaries in Afghan provinces of Kunar and Nuristan. He also asked the extradition of the TTP chief of Mullah Fazl Ullah and handing over to Pakistan. In fact, Afghanistan has become a hub of anti-Pakistan activities from where external secret agencies, especially Indian RAW and Mossad are sending logistic support to Baloch separatist elements and TTP insurgents in Pakistan. In the recent years, especially TTP’s militants and its affiliated banned groups conducted many terror activities in various regions of the country as part of the scheme to create a chaotic situation in the country. Hence, RAW and Mossad also used TTP terrorists in relation to the attack at the Peshawar School. There arose the need for immediate execution of outstanding cases of the death penalty to terrorists. In this respect, Prime Minister Nawaz Sharif revoked the ban on capital punishment in terrorism cases. The nation also expected that politicians should show no politics on the blood of innocent children. For the purpose, leaders of all the top political parties including PTI Chief Imran Khan attended a meeting of the parliamentary parties convened by Prime Minister Sharif after the deadly attack at a school in Peshawar. Setting aside his differences, Imran Khan ended PTI’s 126-day sit-in at Islamabad to give a clear message that the whole nation stands united against terrorism. However, all the leaders unanimously decided to form a parliamentary committee to chalk out a “Plan of Action” in seven days which would be approved by the political and military leadership. In this connection, on January 2, 2015, besides the chiefs of almost all the political parties and military top officials agreed on a draft of legislative measures which paved the way for the establishment of special military trial courts. It was unanimously agreed that the 20 points National Action Plan (NAP) enunciated in the All Parties Conference (APC) Resolution of December 24, 2014, was being acted upon—the bill as 22nd (Constitutional) Amendment was enforced soon after its approval from the parliament. Special military courts were established and the ruthless terrorists facing death penalty had been hanging. In this respect, the role of the Armed Forces is appreciating in uprooting the terrorists from their so-called safe havens. But inability and evident reluctance on the part of political leadership remains a major contributing factor affecting the implementation of NAP in its true spirit. It may be informed that in January 2015, apex committees were formed to expedite the implementation of the National Action Plan. 15 committees and sub-committees were set up; however, no plausible developments were witnessed. Ironically, the inability on the part of the government was covered with mere verbal statements in relation to NAP implementation. Unfortunately, a full-scale activation of National Counter-Terrorism Authority (NACTA) remains in limbo even after seven years of its creation. Lack of allocation of resources for NACTA in the last annual budget, non-framing of service rules for the authority etc. make NACTA a real midsummer night dream. Interestingly, NACTA’s budget stands at Rs. 92 million a year of which Rs.63 million goes into the salaries of the staff. What kind of an effective role will be registered by the authority and who may be blamed for such state of affairs? The debate may be generated over all twenty points of NAP to highlight the progress and performance of the government with respect to its implementation. Focusing on Madrassa reforms, it may be projected that government has yet to come out with an authentic and final figure about the number of Madrassas, existing in the country. Reforming their syllabus and controlling their finances seems a wishful thinking. On the performance of judiciary, it may be highlighted that over the past four years, more than 14,115 persons in terrorism-related cases were acquitted and 10,387 were granted bail, only about one hundred hanged. Since ill-gotten money provides oxygen to the terrorist networks and other mafias working against the interest of the state, it appears that the civilian leaders lack the political will to block the supply of illicit money to the terrorist networks, despite the fact that no government can defeat terrorism without plugging the illicit money to the terror networks. In all the provinces, there are strong politicians, government cronies who have become ‘untouchables’ for the anti-graft drive. It would be a challenge for the prime minister to allow the state institutions to bring all corrupt to book whether they belong to the ruling party or to the opposition. It may be highlighted that some federal ministries are taking steps in the right direction, but the pace is quite slow. Interior ministry’s prepared rules and regulations for International Non-governmental Organizations (INGOs), local NGOs, policy draft over arms licenses etc. remains non-implemented. Civil society is raising concerns over the slow pace of implementation and narrow scope of the Plan’s progress. Reportedly, members of NAP-Watch Pakistan, an alliance of over one hundred noted citizens and experts were grilled by the government in their first annual report to be made public on 24 Dec 2015 report. Lamentably, the extremist organizations, their sympathizers, and supporters are still finding time and opportunities to mischievously target Law Enforcing Agencies and people of Pakistan. Ironically, after TTP, a newer and more formidable menace in shape of ISIS is raising its head in the region. Recent terror attacks by these outfits especially in Balochistan might be cited as an example. In this connection, the nation must press the political leadership to realize the task and fully implement the NAP. To supplement the gains of the military operation Zarb-e-Azb, there is a need to declare 2016-17 as the year of the complete implementation of NAP. The government should be encouraged to end its nap on NAP. The focus should be on NAP and its implementation. It is regrettable that still, some political entities are creating controversy about the National Action Plan which is an essential part of Pakistan’s war against terrorism, as it has co-relationship with the military operation Zarb-i-Azb which has broken the backbone of the militants. In order to conceal their corruption, they are criticizing the NAP. These hostile entities should know that corruption is the essence of terrorism. Therefore, people want that this menace must be eliminated from the country as part of the overall war against terrorism. In this regard, on June 10, 2015, while showing the progress of the Zarb-e-Azb, the then Army Chief Gen. Raheel Sharif said, “Terrorists have been cleared from their strongholds in North Waziristan and Khyber Agency and fight now is moving into last few pockets close to Afghan border.” He laid emphasis on “continuation of the operations till elimination of the last expected and probable terrorist groups and sanctuaries.” While addressing a ceremony of the golden jubilee celebrations the 1965 war regarding Pakistan’s victory and defeat of India, Gen. Raheel again stated on September 6, this year that the operation Zarb-i-Azb was launched at a time when terrorist networks had solidified in the country, and the Armed Forces had been fighting an untraditional war for the past many years, elaborating, “our success is the result of our martyrs and ghazis—in Karachi and Balochistan, peace has returned, where militants have been surrendering their arms.” He reiterated his resolve to eliminate “abettors, financiers, sympathizers, and facilitators” of terrorists at all costs. Notably, while heading a meeting of high-level apex committee, (Of civil-military high officials) on September 10, 2015, regarding overall progress on implementation of NAP against terrorism, Prime Minister Sharif stated that provincial governments were following its several provisions accordingly, however, attention should be paid to other points as well. Nevertheless, in order to dismantle the terror-financing networks, elimination of corruption is an important part of Pakistan’s National Action Plan, devised to counter extremism in the country following the Peshawar school massacre of children. Similarly, reforming the religious seminaries is also its key part. Nonetheless, the tragic memory of the Peshawar School Attack will remain fresh in the minds of people, as the mass murder of children is a manifestation of the most barbaric face of the Taliban insurgency led by TTP. While taking solid measures, counter-terrorism strategy or the Action Plan must be enacted and implemented completely, without losing more time. And, this different war needs a unified front of all the segments of society, which is essential to defeating the ruthless enemy of Pakistan, including their external agents. The Last Option: Who Can Use Weapons of Mass Destructions? With the acceleration of the different war between the sovereign and non-sovereign entities, dangers are looming that by availing the vicious phenomena of global terrorism, any entity can use Weapons of Mass Destruction (WMDs) inside the US and Europe or any western country to obtain its selfish interests. This is the area of very sensitive nature. Therefore, we need caution to reach the conclusion. But, we should keep in mind that despite having collective aims, some countries are playing double game against one another. Since the 9/11 tragedy, while waging global war on terror, the US-led western high officials and their media have been propagating in the world that Pakistan-based Islamic militants can use WMDs or ‘dirty nuclear bombs’ inside the US and Europe. And a plot in this respect would be prepared in Pakistan’s tribal areas. In this context, in connivance with Israeli secret agency, Mossad, Indian secret agency, RAW intensified its propaganda campaign against Pakistan. But, Islamabad took a temporary relief of sigh, because now, almost every plot regarding terrorism is attributed to Syria where illegitimate interests of Israel are at risk. It is notable that Indian nuclear weapons and their related-material are unprotected, as various cases of smuggling and theft have verified. In July 1998, India’s Central Bureau of Investigation seized eight kg. of nuclear material from Arun, an engineer in Chennai, including two other engineers. It was reported that the uranium was stolen from an atomic research center. On November 7, 2000, the International Atomic Energy Agency (IAEA) indicated that Indian police had seized 57 pounds of uranium and arrested two men for illicit trafficking of radioactive material. IAEA said that Indian civil nuclear facilities were vulnerable to thefts. On January 26, 2003, CNN disclosed that Indian company, NEC Engineers Private Ltd. shipped 10 consignments to Iraq, containing highly sensitive equipment including titanium vessels and centrifugal pumps. Indian investigators acknowledged that the company falsified customs documents to get its shipments out of India. On June 12, 2004, Berkeley Nucleonics Corporation, an American company was fined US $ 300,000 for exporting a nuclear component to the Bhaba Atomic Research Center in India. In December 2005, United States imposed sanctions on two Indian firms for selling missile goods and chemical arms material to a Muslim country in violation of India’s commitment to prevent proliferation. In the same year, Indian scientists, Dr. Surendar and Y S R Prasad had been blacklisted by the US due to their involvement in nuclear theft. In December, 2006, a container packed with radioactive material had been stolen from an Indian fortified research atomic facility near Mumbai. However, in collaboration with the officials, proliferation of nuclear components and their related-material has continued from time to time by the Indians. Surprisingly, despite nuclear proliferation by India in violation of various international agreements and its refusal to sign Non-Proliferation Treaty (NPT), Comprehensive Test Ban Treaty (CTBT) and Additional Protocol with the IAEA, Washington signed a pact of nuclear civil technology with New Delhi. As regards Israel, many authors, writers, officials, doctors, experts and reports have proved with evidence that from the very beginning Israel have not only stockpiled the WMDs, but used them on various occasions. In his paper, published in the Non-Proliferation Review in autumn of 2001, Avner Cohen pointed out, “Israel’s chemical weapon started with David Ben Gurion’s doctrine…the destruction of the Palestinian society in Palestine…to accomplish this…Ben Gurion wrote a letter to Ehud Avriel; a member in the Jewish Agency in Europe, ordering him to recruit European Jewish scientists…experts in microbiology…were recruited to form the Science Corps in the Haganah which later was called HEMED BEIT….publically known as Israel Institute for Biological Research (IIBR)…was developing chemical and biological weapons in secret…when in 1992, El Al Flight 1862 crashed….on its way to Tel Aviv…in Dutch history killing at least 47 and destroying the health of 3000 Dutch residents….plane was carrying a shipment from Sokatronic Chemicals of Morrisville, Pennsylvania to IIBR, under the US Department of Commerce license, in violation of the Chemical Weapons Convention (CWC)…140 biological weapon scientists from the IIBR have strong links” with various related-research centers of the US and some European countries. During various phases of the Palestinian Intifada, Israel used these fatal weapons against the unarmed Palestinians. In this respect, a number of investigative reports, after lab-verification, have indicated severe convulsions, the burning sensation, the difficulty to breathe, the vomiting and pain found in relation to the victims—mostly women and children. In March 2003, BBC presented the documentary, investigating Tel Aviv’s development of chemical, biological and nuclear weapons. In this connection, American leading media suppressed the real details of the 2009 United Nations (UN) fact-finding report which disclosed as to how Israel’s military used chemical weapons against Palestinians. In 2013, the US Secretary of State John Kerry accused Syrian President Bashar al-Assad of using chemical weapons in relation to the Syrian civil war. In order to protect the interests of Israel, in the pretext, America was determined to attack Syria like the invasion of Iraq where no weapons of mass destructions were discovered. But, Russian President Vladimir Putin warned western powers against any airstrike. For face-saving, John Kerry withdrew from American stand, as he could not prove it. In fact, CIA-Mossad-supported rebels which have been fighting to oust President Assad’s government had used chemical weapons in Syria. In fact, brushing aside the dangers, covertly, America and its related-industries which are mostly under the control of Zionist Jews have supplied Tel Aviv WMDs. Concealing these fatal weapons, Israel has flatly refused to sign the NPT, and to ratify the CWC which obligates states to submit to international oversight and destroy chemical agents in their possession. While in 2013, Damascus ratified the CWC. As regards Israeli nuclear arsenal, it contains variety of atomic bombs. It also possesses small nuclear weapons. In 1983, the former Israeli prime minister, Ariel Sharon suggested India to join with Israel to attack Pakistani nuclear facilities, and in 1982 he called for expanding Israel’s security influence from Mauritania to Afghanistan. Since 9/11, by availing that golden opportunity, both India and Israel have perennially been manipulating the world phenomena of terrorism and anti-Muslim approach of the US-led west so as to obtain their secret designs. Both Tel Aviv and New Delhi have been equating the ‘wars of liberation’ in Palestine and Kashmir with terrorism, and under the cover, accelerated state terrorism on these controlled territories. Their main purpose is to divert the attention of the west from their own atrocities, while employing delaying tactics in the solution of these issues. With the support of their lobbies and in connivance with the US neoconservatives, India and Israel have been exaggerating the threat of Islamophobia. However, Tel Aviv and New Delhi have been acting upon a secret diplomacy in targeting the whole Islamic World in general and Pakistan, China, Iran, Libya and Syria in particular. In this respect, by manipulating President Barack Obama’s ambivalent strategy, both India and Israel have also been propagating that a ‘nuclearized’ Pakistan, having close ties with China is sponsoring cross-border terrorism in Afghanistan and Kashmir. And Iran and Syria are doing the same act in Saudi Arabia, Lebanon and Israel. Particularly, New Delhi considers Pakistan as its enemy number one. America and Israel are also against Pakistan, as it is the only nuclear country in the Muslim world. Nevertheless, similarity of interests has brought Israel and India to follow a common secret strategy with the help of those Americans who are present in the US Administration. In this context, Indian RAW, Israeli Mossad and some American CIA agents are in collusion at the cost of the US global and regional interests. It is mentionable that ideology of Hindu nationalism prevails in every field at the cost of other minority groups. It is even supported by Indian defence forces secretly. This could be judged from the incident, when on April 6, 2008 in a house of the fundamentalist outfit Bajrang Dal in Nanded, a bomb went off. The investigation proved that the militants were found in bomb-making. Anti-Terrorism Squad (ATS) of the Maharashtra arrested a serving Lt. Col. Srikant Purohit along with other army officials, indicating that they were helping in training the Hindu terrorists, providing them with the military-grade explosive RDX, used in terrorist attacks in various Indian cities. ATS further disclosed that Lt. Col. Purohit confessed that in 2007, he was involved in bombing of Samjhota express (Train between Pakistan and India in which a majority of Pakistanis travel), which burnt alive 70 Pakistanis. Regarding Hindu terrorism, Indian Home minister Sushil Kumar Shinde disclosed on January 20, 2013 that organised training camps run by the fundamentalist parties, RSS and BJP (Ruling party of India) were promoting Hindu Terrorism. He also explained that these extremist parties were behind the Samjhauta Express, Meccca Masjid and Malegaon blasts. 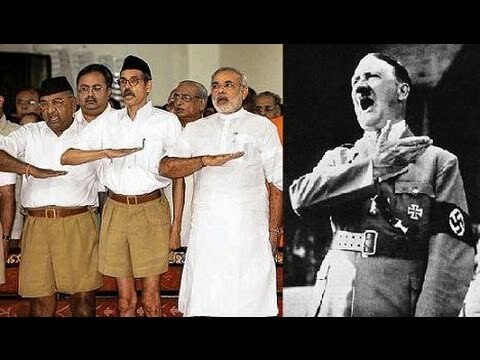 Since the leader of the ruling party BJP Narendra Modi became Prime Minister of India, various developments like unprecedented rise of Hindu extremism, persecution of minorities, creation of war-like situation with Pakistan etc. clearly show that encouraged by the fundamentalist rulers, Hindu extremist parties such as BJP, RSS VHP, Bajrang Dal and Shiv Sena have been promoting religious and ethnic chauvinism in India. Especially, assaults on Christians and Muslims including their places of warships and property have been intensified by the fanatic Hindu mobs. It is of particular attention that on January 7, 2015, two Islamic militants attacked the office of French satirical weekly newspaper Charlie Hebdo in Paris, and killed 13 people on January 9, 2015. Two brothers namely Said and Cherif Kouachi suspected for the incident were killed in a shootout with Police—in a hostage-taking situation. Thus, the gunmen killed total 17 persons. Afterwards, Mossad connections with Charlie Hebdo incident had been exposed by many senior analysts and social media bloggers, as the Zionist groups and Mossad used the episode to punish France on recognizing Palestinian state and to desist other EU countries to avoid such approach on Palestinians. In his message, Breivik also favoured the ‘Hindu nationalism (Hindutva)—the anti-Muslim movement of the Hindu fanatic parties. Although these lethal poisons (WMDs) seem to be mysterious, yet still could be within the reach of some Hindu terrorists with the help of RAW which could also got these destructive weapons from Mossad. Such chemical and radiological materials could have also been smuggled inside India by the Hindu fundamentalists with the covert backing of RAW. Frustrated in isolating Islamabad, RAW in connivance with Mossad might have prepare a most dangerous plan to use chemical, biological and nuclear weapons inside the US homeland or any major European country to implicate Pakistan for having allegedly used these weapons through some Taliban militants. Particularly, RAW-Mossad may also employ these fatal weapons against NATO forces in Afghanistan, as India and Israel want to prolong the stay of the US-led NATO troops in Afghanistan which have become the center of their covert activities against Pakistan, China and Iran. ISIS (Daesh) terrorists which are strategic assets of the CIA may be used by RAW and Mossad for employment of these unconventional weapons. While, India, Israel and the US are also playing double game against one another, hence, by utilizing the vicious circle of terrorism, New Delhi can alone use these weapons through Afghanistan-based Tehreek-e-Taliban Pakistan (TTP) which have been supported by India, and has claimed responsibility for several terror attacks inside Pakistan, including the recent one at Charsadda’s university. RAW’s sole aim will be to provoke Americans and its allies against Pakistan which is threatening Indian hegemony in the region. Thus, Indian RAW could create a dangerous misunderstanding in which US could use small nuclear weapons against Pakistan. Otherwise, Islamabad could be asked to rollback its atomic programme. Meanwhile, various developments such as Russian airstrikes on the ISIS targets in the northern Syria, its coalition with Iran, Iraq, Syria and Lebanon-based Hezbollah in support of President Assad, exposure of the US-Israeli assistance to the terrorists of the ISIS and Al-Qaeda (Al-Nusra Front) to oust the Syrian president, reluctance of Europe and the NATO countries to join America against Russia in relation to Syrian war, acceptance of Syrian refugees by the European countries, especially Germany, the EU rule to boycott goods produced in Israeli settlements on the West Bank etc. culminated in terror attacks in Paris on November 13, 2015 as part of the Zionist-Israeli conspiracy against the Muslims, Christians and loyal Americans—the west and particularly Europe. In this respect, arrest of Israeli Col. Shahak in Iraq, his admission, proving links of Al-Qaeda and ISIS with America and Mossad and medical treatment of the ISIS warriors in the Israeli hospitals proved that Mossad was behind the Paris attacks. In the post-Paris attacks, by producing anti-Muslim phenomena like the propaganda of the so-called threat of Islamophobia, persecution of the Muslims in the US, Europe and some other western countries, Israel has succeeded in its designs. Israel-led America also got the assistance of its western allies (NATO) against Russia. Now, as part of the ambivalent approach, American jet fighters and those of its western coalition are targeting the ISIS terrorists in Iraq and Syria. Although Tel Aviv has succeeded in its clandestine aims after the Paris attacks, yet some recent developments have depressed the Zionists and Israelis. The Russia-led coalition which have been successfully achieving its objectives have broken the backbone of the ISIS terrorists, Al-Qaeda’s Al-Nusra Front and the rebels who have fled most of the areas in Syria and Iraq. Besides, though President Obama is acting upon contradictory policy, but, in wake of the presidential election-campaign, ordinary Americans are focusing on internal problems which are the result of prolonged war on terror. Patriot Americans are openly criticizing the Zionist-protected policies of the US. Taking cognizance, Obama has asked Turkey to withdraw its forces from Iraq’s territories. In the recent past, John Kerry gave ultimatum to the Israeli Prime Minister Netanyahu to agree for the two-state solution of the Palestinian dispute. Most significantly, on January 17, this year, US-led western sanctions against Tehran have been officially lifted in accordance with the agreement, signed between six world powers and Iran, last year, whom Israeli prime minister has called a ‘historical blunder.’ In these circumstances, Tel Aviv may think that perhaps America is playing double game with Israel. At present, a debate has started between the Zionists and non-Zionist Jews for the two-state solution of the Israeli-Palestinian issue. Even, a majority of the western intellectuals have also been emphasizing upon the settlement of this dispute. Very soon, Tel Aviv will have no other option. Therefore, to avoid the solution of this old crisis, as the last option, most probably, Mossad with the help of Zionist Jews can supply weapons of mass destructions to the ISIS terrorists, and to use them inside the US and Europe or any major western country with the aim of implicating Syria—and to cause a major war between Russia and the US-led NATO, while turning the world to clash of civilizations, especially between the Muslim and the Christian worlds.